Subcontractors can pre-register all their operatives’ details prior to arriving on site. Once registered, an operative can access all sites for that main contractor. Site operatives conduct induction process off site speeding up site familiarisation. ‘Right to Work’ document checker. If documents have expired the system will prevent entry. 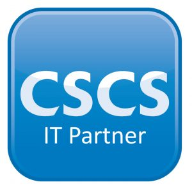 CSCS card checker linked to CSCS database – validating card holder before arrival at site.